A Daft Punk fan (wolf_boy2027 on thedaftclub.com thread) made a giant image of the evolution of Daft Punk's helmets throughout the years. 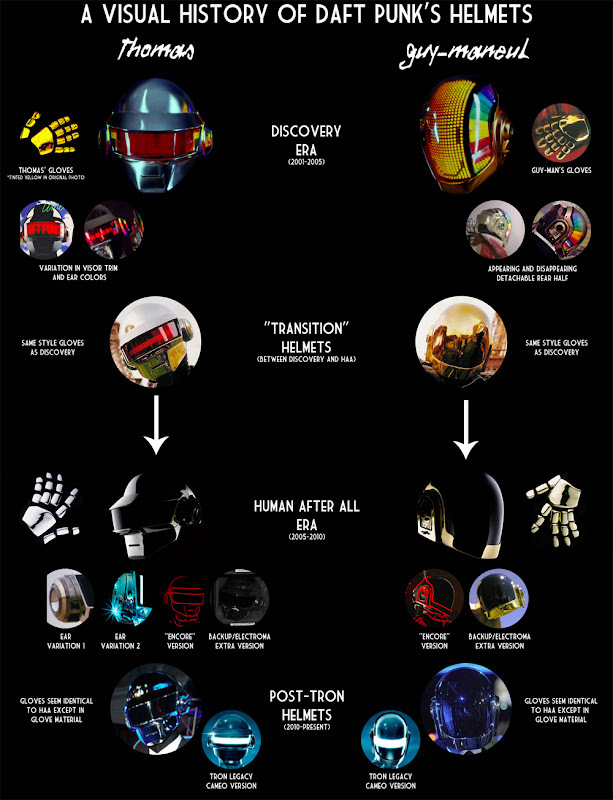 A poster perhaps of Daft Punk's helmets? Anyways I am pretty sure any Daft Punk fan would be happy to have one of these on their wall... btw I guess it's still a work in progress as there is a typo somewhere... can you guess where it is?